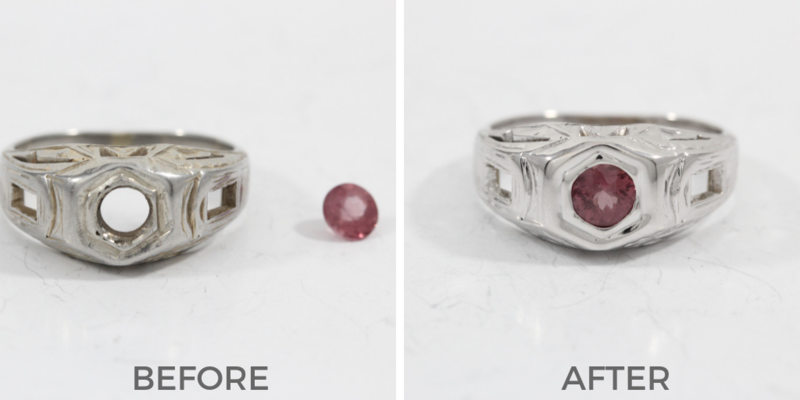 Shine up your jewels and restore them to their original condition. 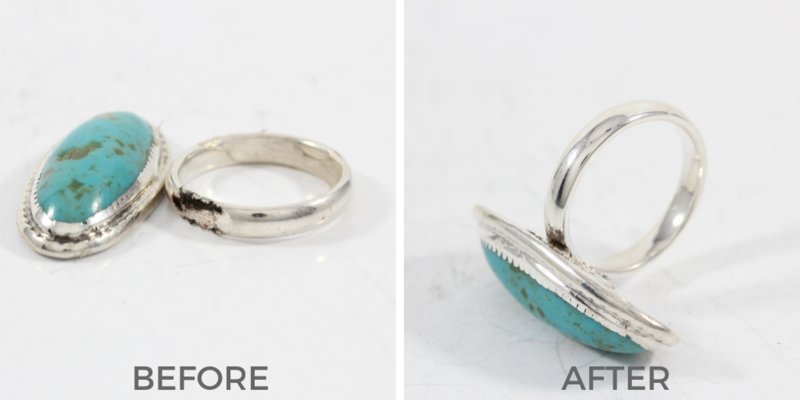 Get the gunk out of your favorite piece and wear it guilt-free! 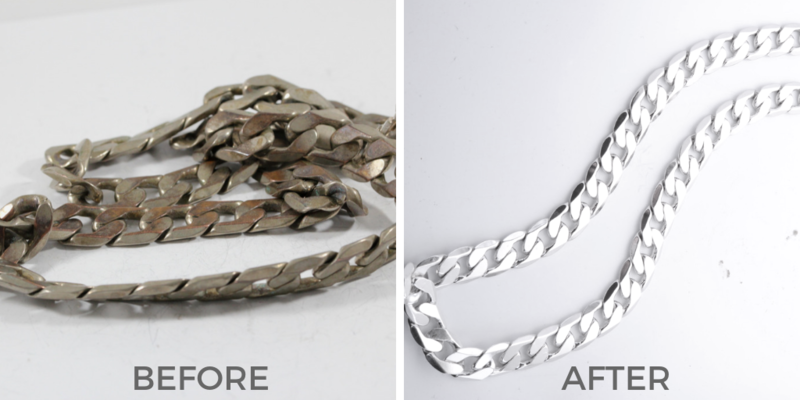 Change up the color of your jewelry with gold electroplating or rhodium plating. 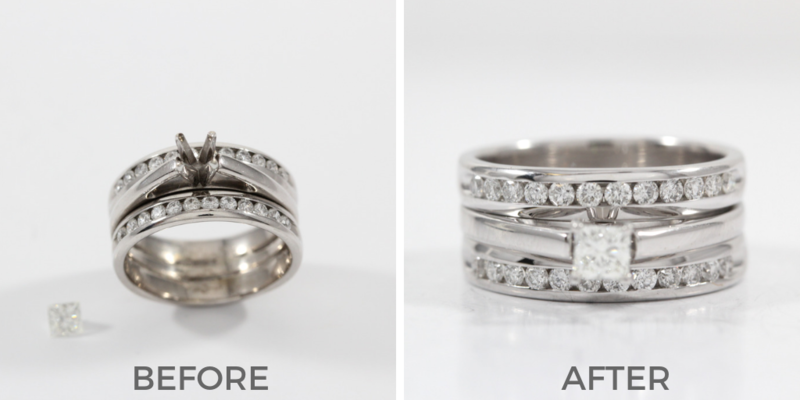 Put those sparkly gems back where they belong with our professional setting service. 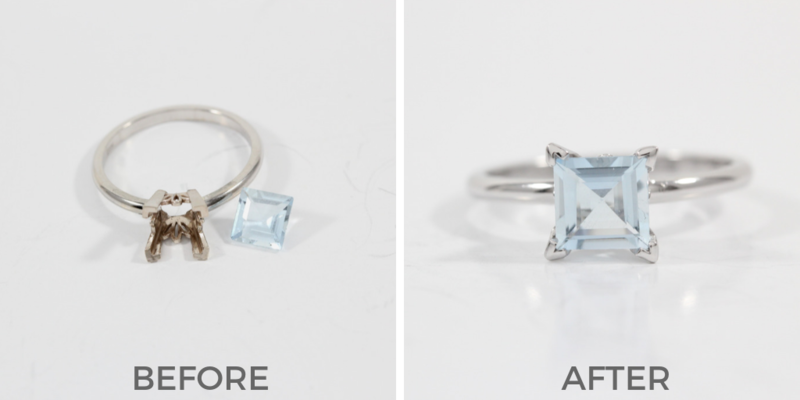 Diamonds aren’t the only gems out there that need a good home- we’ll take care of your other stones too. 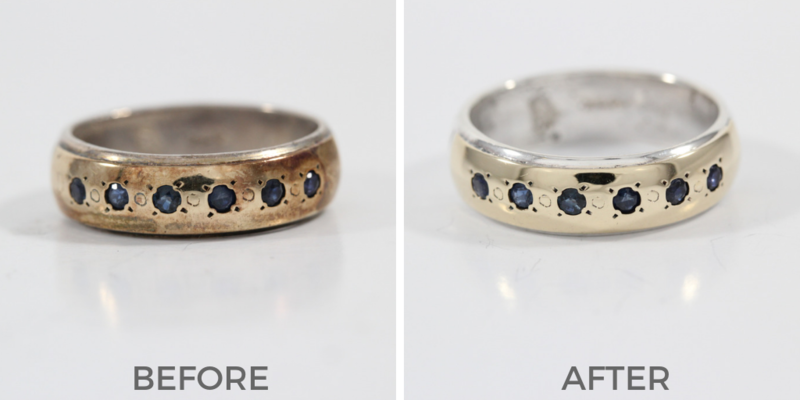 It looks irreparable, but there’s nothing our jewelers can’t fix with a little bit of solder! 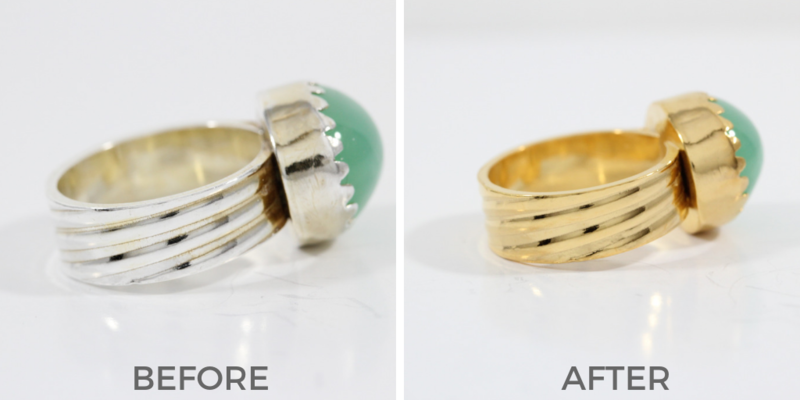 The back of your ring is called a shank, and it can be pretty fragile. If it breaks, we can fix or replace it. 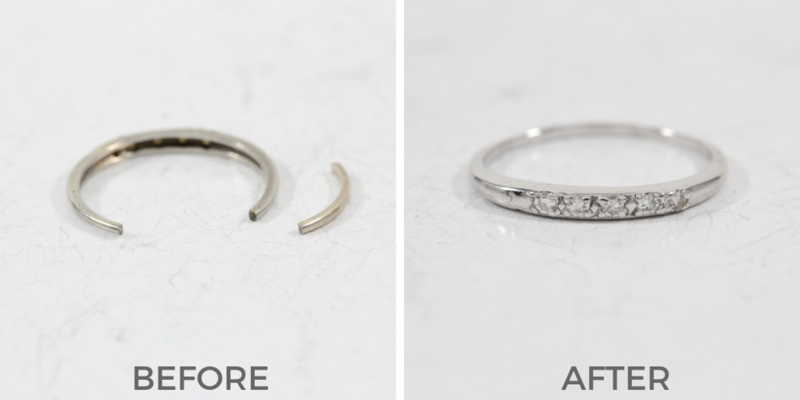 If your rings are too tight or too loose, our jewelers can size them up or down for you. You can’t wear your earring without a post! 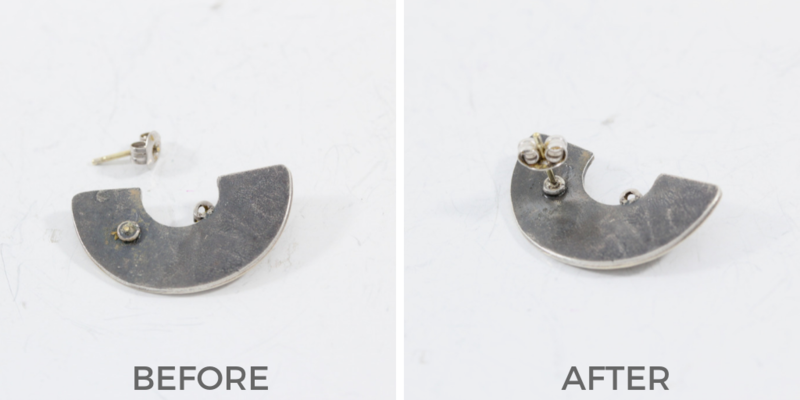 It’s a quick fix with our earring solder repair. 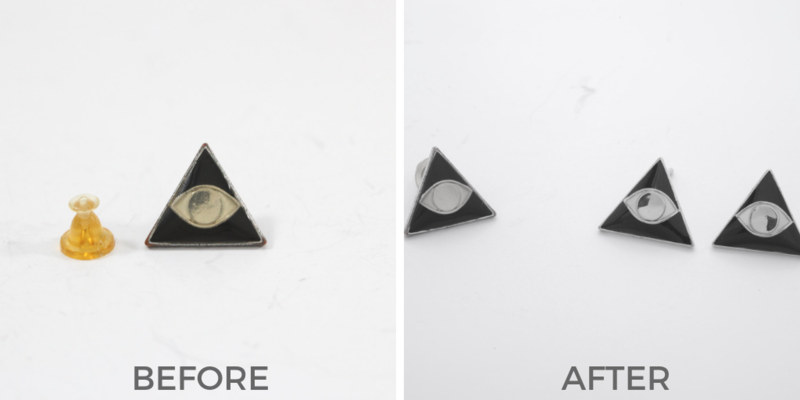 If you lost one of your earrings, we can make a new one to complete your pair. The jump ring on your earring can break over time. 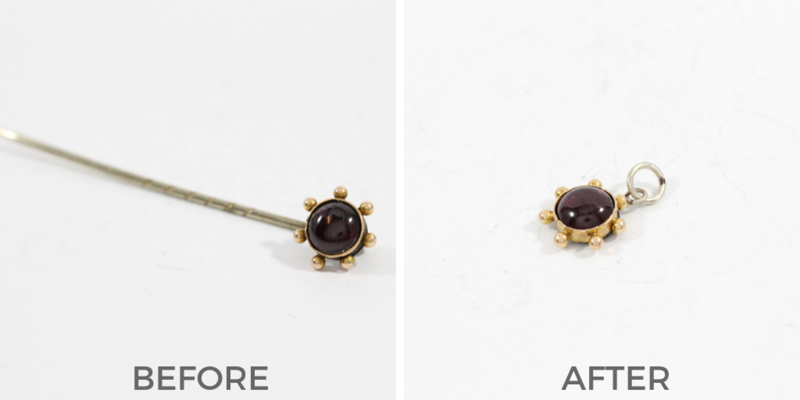 Repair it and wear your earrings without fear of losing the charm. Inherited a pin from grandma but you don’t wear brooches? Like antique earrings but your ears aren’t pierced? 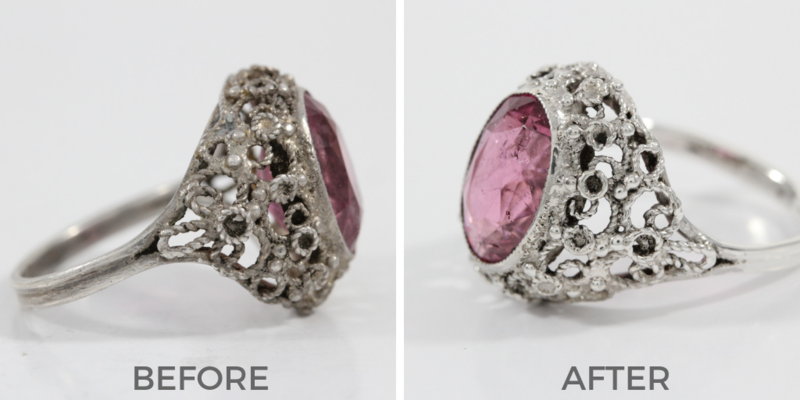 Our jewelers are experts at converting items into other types of jewelry. 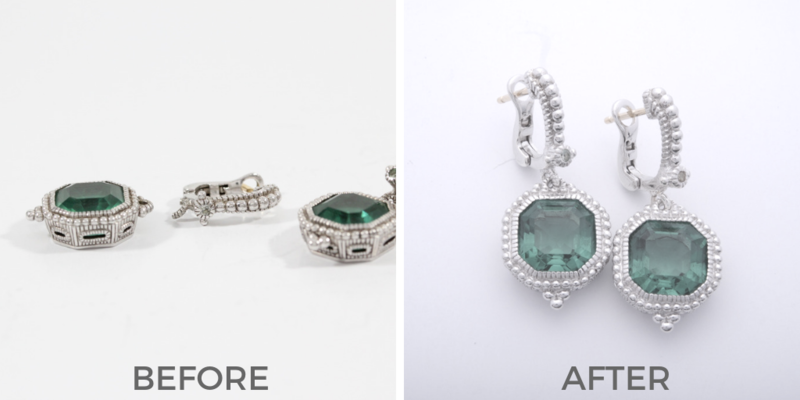 Whether it’s a pin to a ring, an earring to a necklace, we can change things up for you. 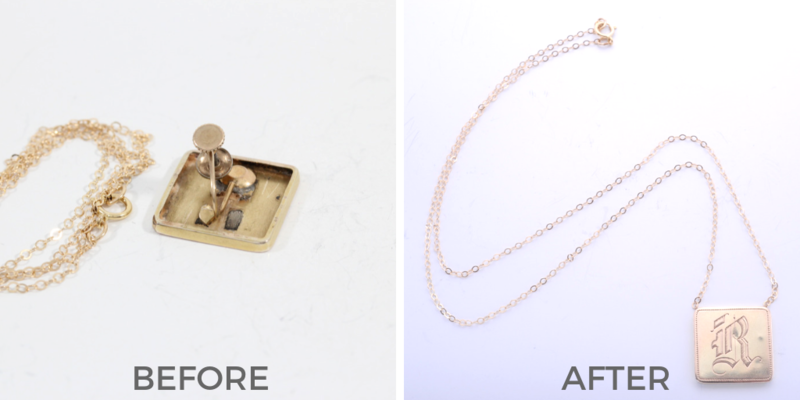 If you can’t wear your necklace because it’s broken, get the chain fixed via soldering. 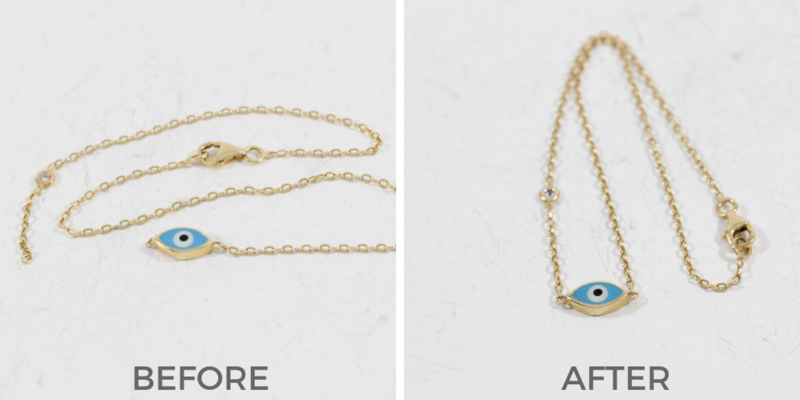 Your necklace’s color can wear out over time if it’s plated. 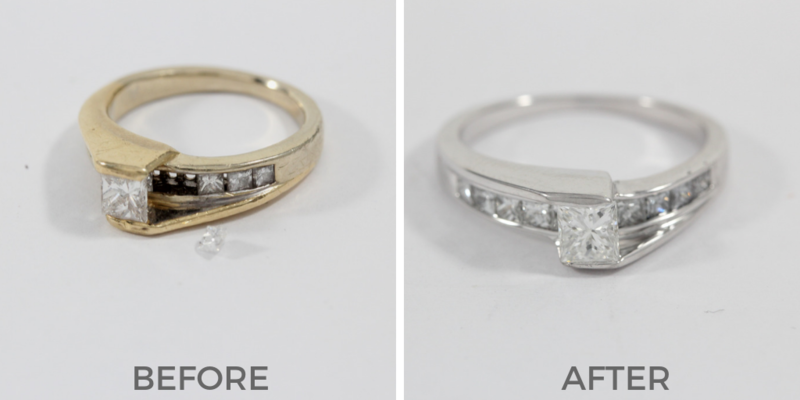 Make it look like brand new again with your choice of rhodium (silver-colored) or gold plating. 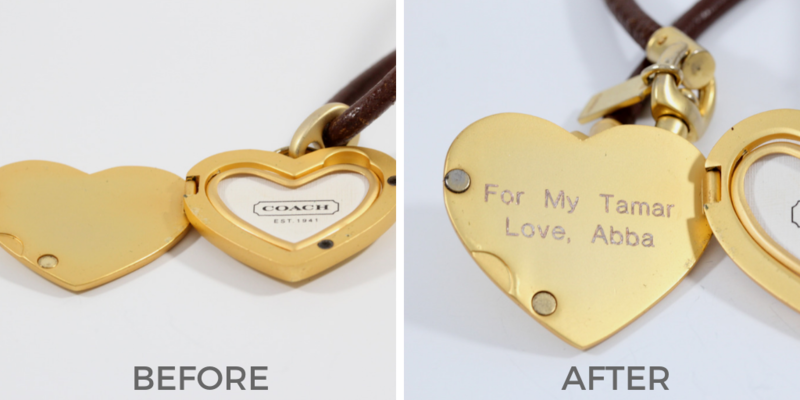 If you want to personalize a piece of jewelry, this is the service for you. 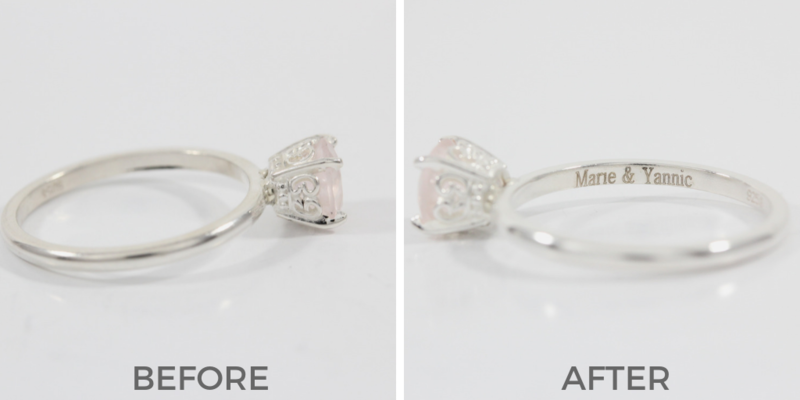 We can engrave necklaces, bracelets, and rings with your choice of font. 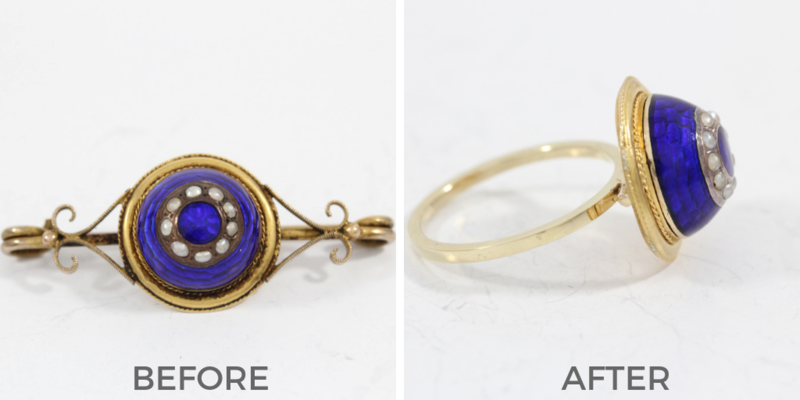 Feeling inspired by all these great before and after pictures of our jewelry repair services? 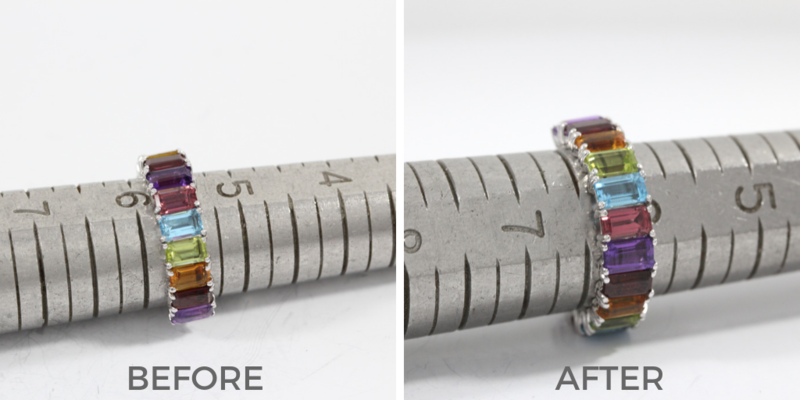 Repair your jewelry with us today!